When I meet a new patient for the first time, one of the questions I often ask them is, "How do you feel about being here?" Lots of kids are excited about getting braces because they've seen friends of siblings with them. In many other cases, however, I simply receive a shy smile, and Mom or Dad explaines, "I think he/she is a little nervous!" If your first visit makes you a little nervous, rest assured, you're not alone!! It's normal to feel a little nervous visiting a new place or doing a new thing for the first time, and a trip to the orthodontist's office is no different. Knowing what to expect can make a world of difference both to young patients and their parents. In our office, a new patient appointment begins with a tour of our new office so that you can see where and how you might spend your time once you're in treatment. One of our orthodontic technicians will take some photos of your teeth and a panoramic x-ray before Dr. Liz or Dr. Bethany spends some time with you to do an exam of your teeth and bite and to discuss treatment options. Some important things to know about our first appointment? It's painless! Every part of this process should be comfortable and easy for our new patient. In fact, it should actually be fun! It's cost-free! You won't have any financial obligation after your new patient exam. We'll let you know if treatment is needed and discuss options before you would make any commitments. We're flexible. If your little one is worried that they might get braces on when they show up, you can reassure them that there is no need to start treatment the same day. At the same time, if your child is ready and raring to go, we can likely find time to get the ball rolling right away. The purpose of this visit is two-fold. 1) We want to determine whether our new patient will need treatment, and 2) We want to determine whether this is the right time to start. We'll guide you through the process from there! Here's a link to the AAO's Guide to Your Child's First Visit with additional information that you might find useful. And as always, feel free to contact our office with any questions you may have! Today on the blog, I'd like to introduce you to an amazing resource provided specifically for parents on the American Association of Orthodontists website. 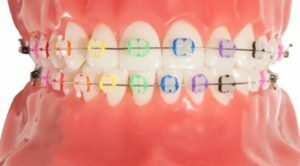 This guide covers numerous topics - everything from helping you understand the why and how of braces to tips while you or your child are wearing them. 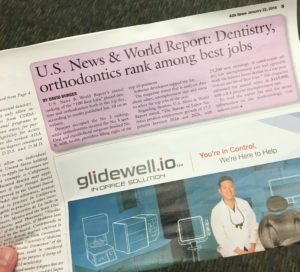 If you'd like to get some unbiased information on how to choose an orthodontist or learn what a typical first visit should be like, check out this fantastic resource! In coming weeks, I plan to feature more specific content from this page. In the meantime, please begin browsing whatever speaks to you! Here it is, the AAO Parents' Guide to Orthodontic Treatment! Within the past few years, we've observed an exciting trend - the increasing adoption of WaterPik water flossers for improved hygiene with braces! Last week we had the privilege of having some in-person education on this product right in our own office. An experienced dental hygienist who has been working with WaterPik and their products for years came to visit us and educate us on the effectiveness of this product as well as best practices for use. We're well aware that hygiene while wearing braces, especially in children and teenagers, can be a challenge. 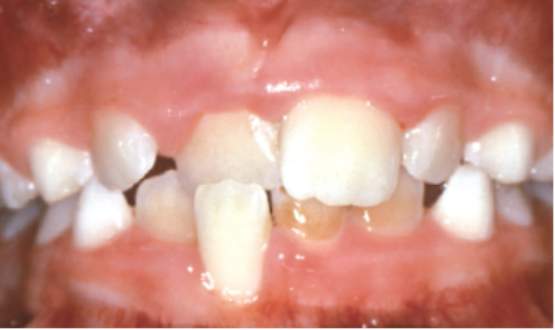 It can become a point of frustration for parents, and poor hygiene can often lead to irreversible damage in the form of white spots and even cavities. For this reason, we hope to offer our patients all the help we can! Using a WaterPik can remove over 99% of plaque from difficult-to-reach surfaces, and most patients seem to find it more convenient and less time-consuming than flossing. In addition, mastering the technique is often easier, and patients can become more competent at completing their hygiene routine with the WaterPik. Going forward, we are pleased to be able to offer our patients discounted prices on WaterPik water flossers if they'd like to add this to their hygiene routine. We believe it could make the difference between an acceptable result and an outstanding one! Please contact us for more information - we look forward to helping you enjoy the experience of achieving a beautiful smile! If you've checked out our website and social media pages, then you know our motto, "Healthy Smile, Healthy Life" came about because we believe in pursuing all kinds of healthy habits, not just great dental health! Exercise and fitness has been a top priority and hobby for both of us for years, and running is one of our favorite types of physical activity! As usual, this year, Hilliard will be the home of the Hilliard Classic, a race day including a half marathon, 10k, and 5k. Dr. Bethany will be there running the 5k to celebrate Father's Day with her dad and her husband, Dan, a new dad this year! 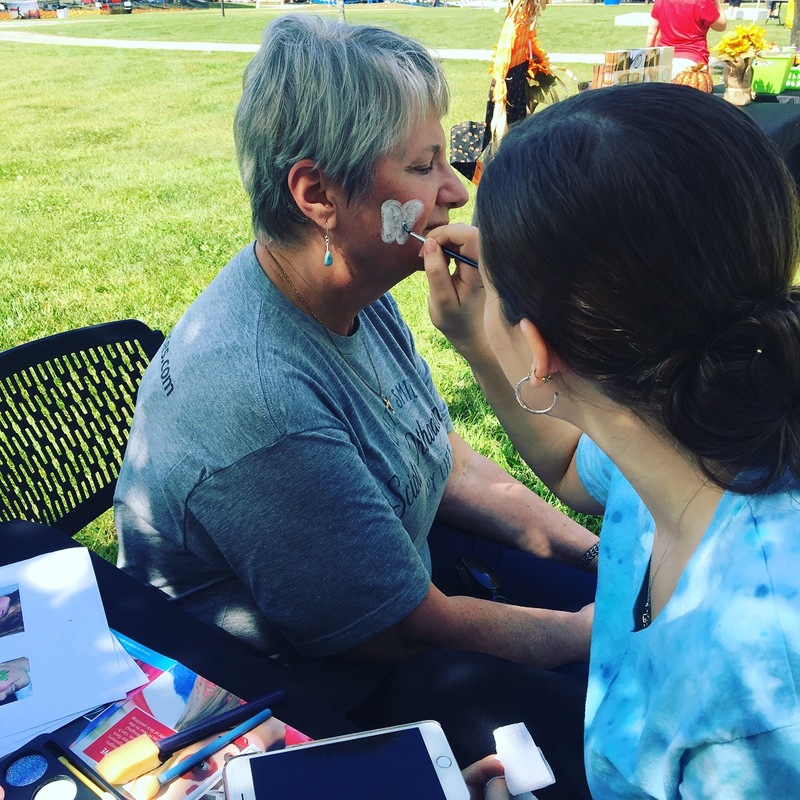 If you're interested in enjoying some physical activity with us on a sunny summer Sunday morning, check out the Hilliard Classic and consider registering for one of the 3 race distances. Whether you're running or walking, it feels good to start the day with fresh air and movement! As with many things in life, when you stop learning and start coasting, you can easily fall behind the times. That's why we are committed to lifelong learning and consistently bettering ourselves and our ability to bring you top-notch care - the fastest, easiest, and most comfortable orthodontic treatment. You may wonder how much there is to learn in orthodontics. Aren't teeth pretty much always going to be the same? Well, yes, the teeth stay the same, but the way we move them and our ability to provide a great treatment experience keep getting better. One of the ways we stay up to date and continue to improve is by attending continuing education courses. 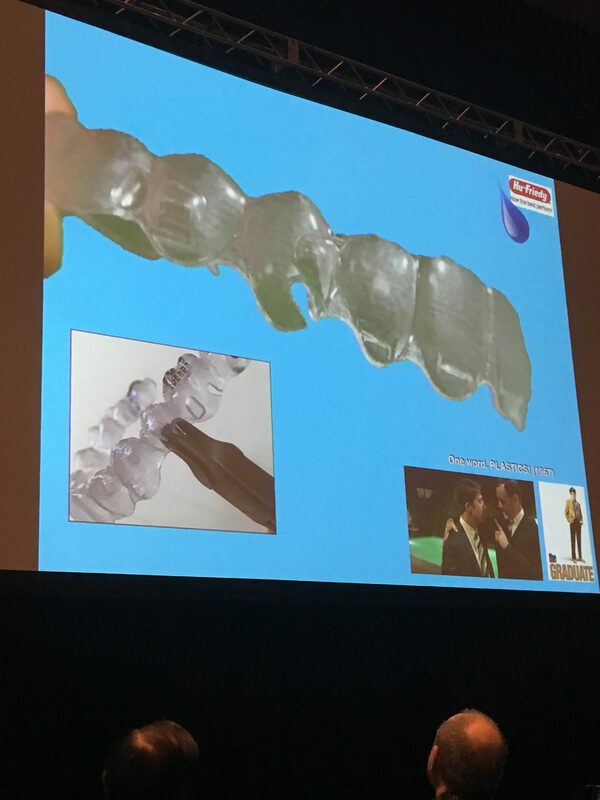 The Annual Session hosted by the American Association of Orthodontists is one such opportunity where educators, vendors, and colleagues come together to exchange ideas and information. 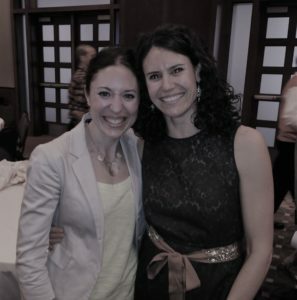 This past weekend Dr. Liz attended the Annual Session in Washington D.C. She came home with lots of new ideas for delivering great care the way that you want it! One of the major themes at the Annual Session this year was clear aligner treatment. 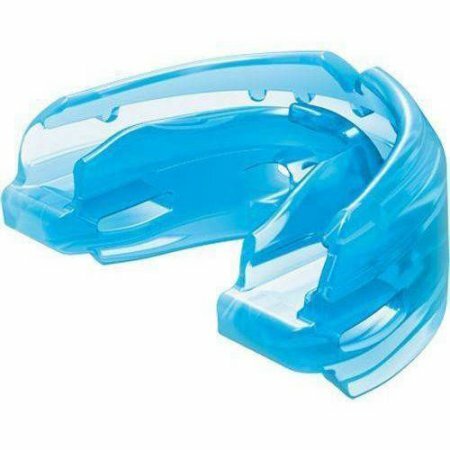 As patients' interest in clear aligners increases, more and more companies are offering diverse options in products, and more educators and sharing valuable tips and tricks for making aligner therapy more effective than ever before. As specialists in orthodontists, we are proud to be able to bring you all of these options. 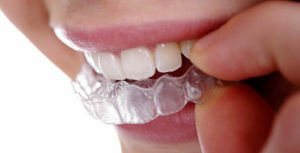 Each has its own strengths in terms of flexibility, cost, and customization, and we believe that we are in a unique position to help you navigate the right clear aligner treatment for you. Of course, that's not all the Annual Session was about! As usual, a whole host of concepts were discussed from surgical treatment to 3-D imaging for better diagnosis and treatment set-ups to improvements in clinical efficiency. 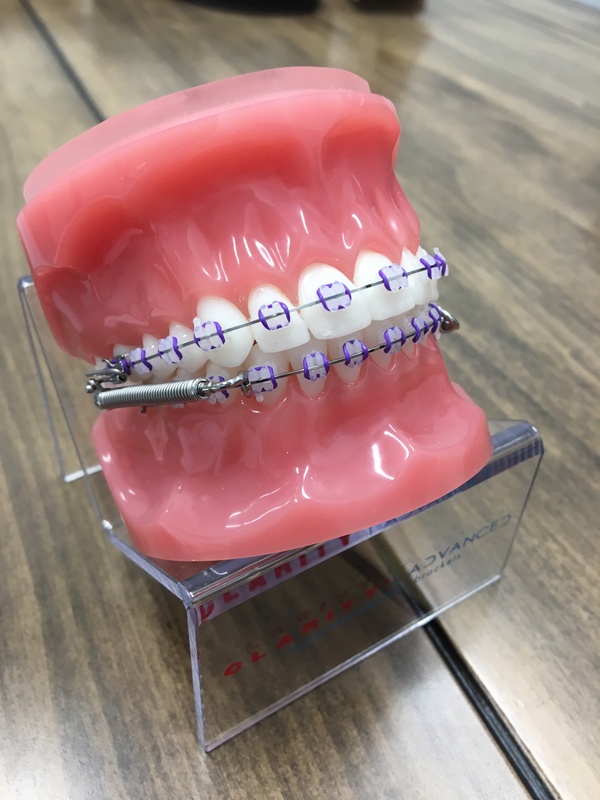 Over the course of the next year, we're excited to begin passing on these valuable pearls to our patients, and then once again, we hope to return to step up our game again next year! So You've Decided to Move Your Teeth! First of all, let us congratulate you! Making the decision to do something healthy for yourself is something that should make you feel tremendously proud! We've noticed that lots of our patients don't seem to enjoy this pride and excitement until they're having their braces removed, but we're ready to change that. We truly believe that you deserve to be proud of the process, not just the result! Just think about it. Lots of people have goals to achieve a fitter physique, a healthier blood panel, a straighter smile, improved mental health and clarity. Why doesn't everyone always meet their goals? That's likely because inaction is always the easier choice, especially when reaching that goal can take time and effort. It's much more fun to pursue instant gratification! It takes a special kind of person to commit to a process in order to reach a goal, and you have decided to be that kind of person! Let's celebrate that! Not only can orthodontic treatment improve your physical oral health, but an improvement in the appearance of your smile may also have a major impact on your self esteem, a key component of your overall psychological well-being! And in some cases, orthodontic treatment improves the function of your teeth, making it possible to bite or chew with comfort where there had once been pain - what an awesome way to influence your overall quality of life! 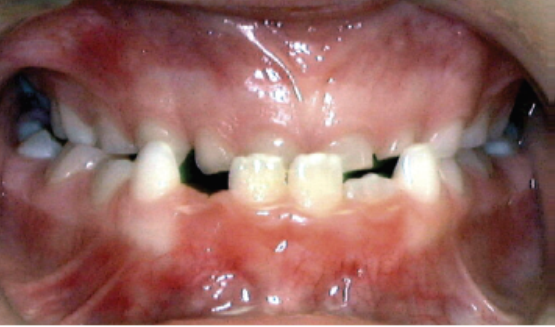 So yes, orthodontic treatment results may not happen overnight. Perhaps you've even heard of short-cuts that sound a little too good to be true (hint: they probably are). However, patience and dedication are most often rewarded with the best results, results that last a lifetime and have an impact for years to follow. So, once again, if you've made the choice to undertake a journey in orthodontics, we congratulate you because you are demonstrating to yourself and the people around you that you take your health seriously. You're setting a positive example for the others in your life. So many patients are solely focused on the end result, but our hope is that you will begin to enjoy the process! We hope that you wake up in the morning and feel excitement because you're in the process of doing something great for yourself! You may not see changes every day, but that doesn't mean they aren't happening. Part of the process is being patient, and you can rest assured that by continuing your journey, you are each day one step closer to success. We only get one chance to take care of these amazing physical specimens that are our bodies. Let's treat them with the respect they deserve. We hope you enjoy your journey and take pride in your commitment. We hope that you smile proudly, never hesitating to show the world that you are in the middle of an exciting transformation! We hope that you're excited to share your choice with friends and family! You deserve to be excited about this! You're doing something wonderful, and hopefully you'll inspire everyone around you to do something wonderful for themselves as well! We're here to join you along the way with tips and suggestions for enjoying the process. Hope you'll come along for the ride! Here's wishing you a happy braces journey!